Newlyweds Priyanka Chopra and Nick Jonas are not done celebrating their union as they held another wedding reception in Charlotte, North Carolina (US). That's right, the wedding festivities are not over yet. What was different about this celebration is that it was more low-key at Nellie’s Southern Kitchen, a restaurant owned by the Jonas family. What was on the menu? Reportedly a sweet range of comfort food inspired Nick’s great grandmother, Nellie Jonas (she passed away in 2011) - chicken and dumplings, meatloaf and fried catfish. The dessert bar included athree-tiered wedding cake and mini pies. Chopra shared a sweet picture of the occasion, she captioned: “Fam jam”. The star couple married in December 2018 at the majestic Umaid Bhawan Palace in Jodhpur. In honour of their big day, they also held pre-wedding festivities that began on November 26 in Mumbai. Celebrations also included a Mehendi and a fabulous Sangeet. Chopra revealed how she and her husband started dating during an appearance on 'The Ellen Show'. On the work front, the new bride will next be seen in 'Isn't It Romantic', which will be released on February 13. The romantic comedy also stars Rebel Wilson, Liam Hemsworth and Adam DeVine. What Nick Jonas gave Priyanka Chopra's bridesmaids in exchange for his joote will leave you stunned! 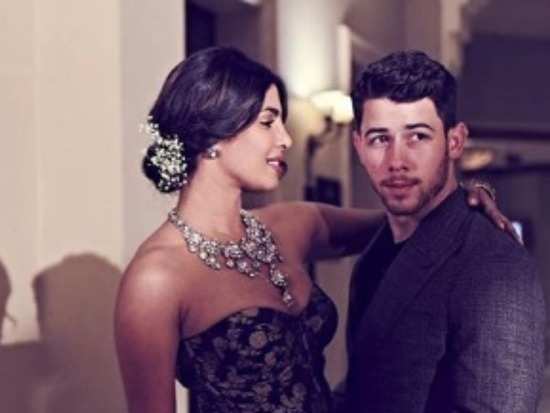 4What Nick Jonas gave Priyanka Chopra's bridesmaids in exchange for his joote will leave you stunned!